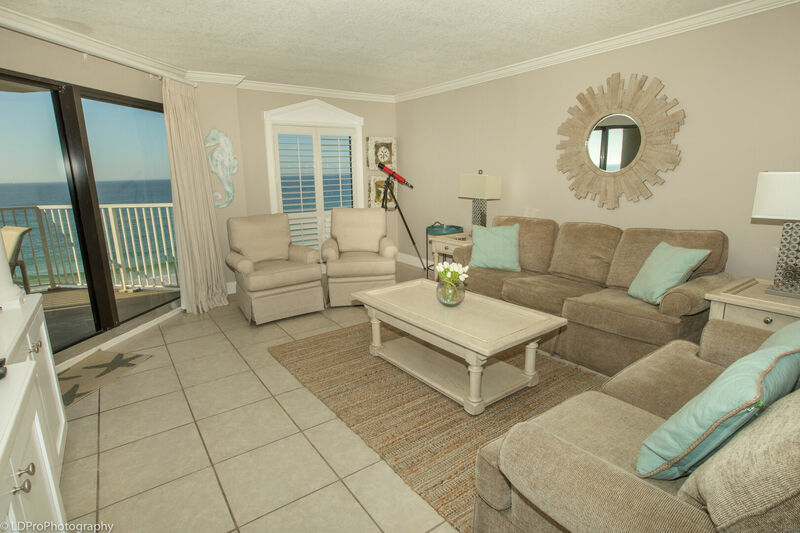 Inlet Reef 403 - Holiday Isle Properties, Inc. 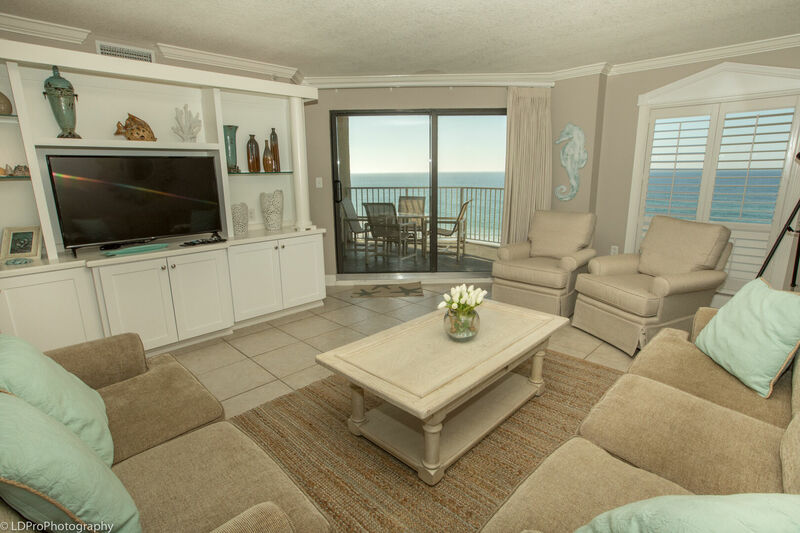 Welcome to Inlet Reef 403, a beach front condo offers an amazing unobstructed view of the gorgeous Gulf and Seasonal free beach service. 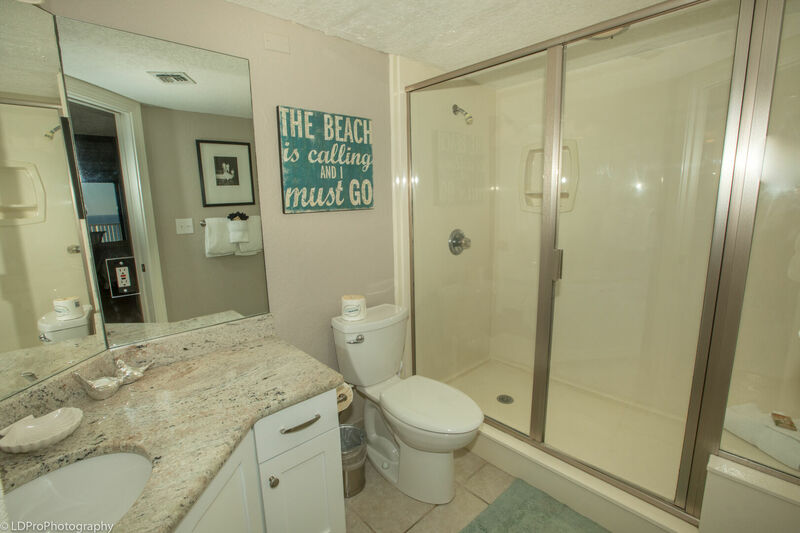 When you open the door the condo immediately gives you a sense of relaxation. 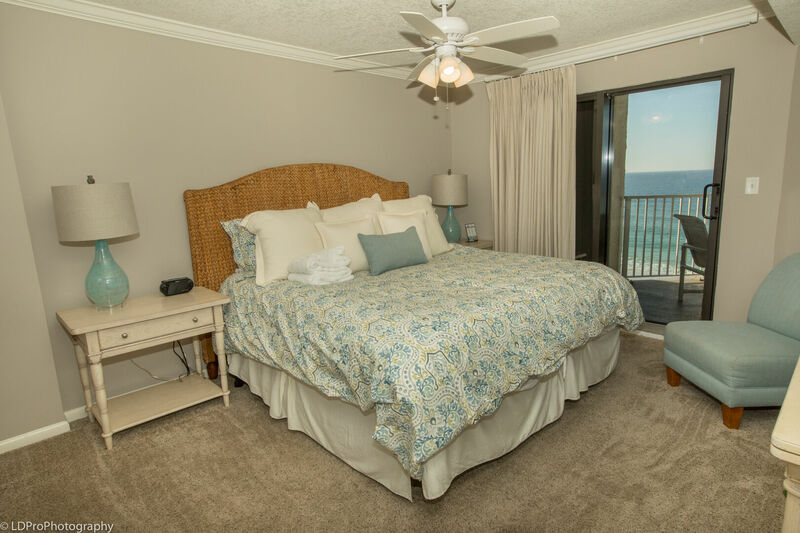 The condo was renovated and upgraded in 2018 to ensure you have your dream beach vacation. 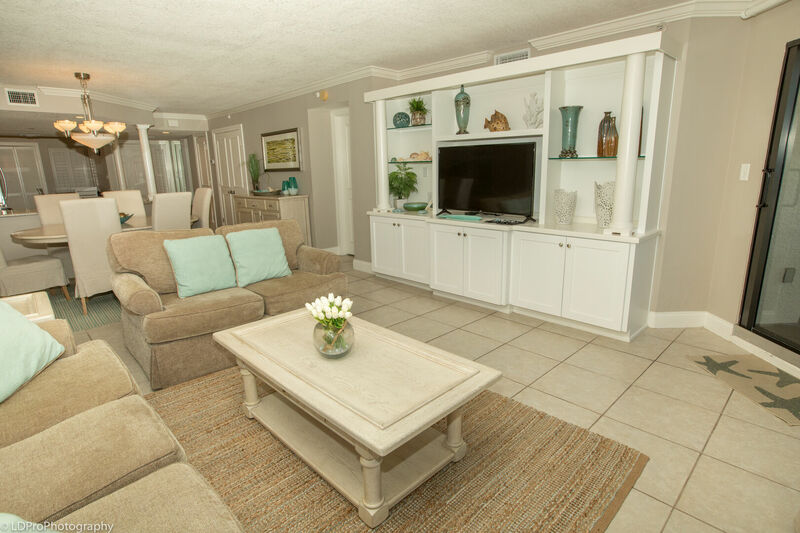 This 2 bedroom/2 bath sleeps eight guests in luxurious comfort. 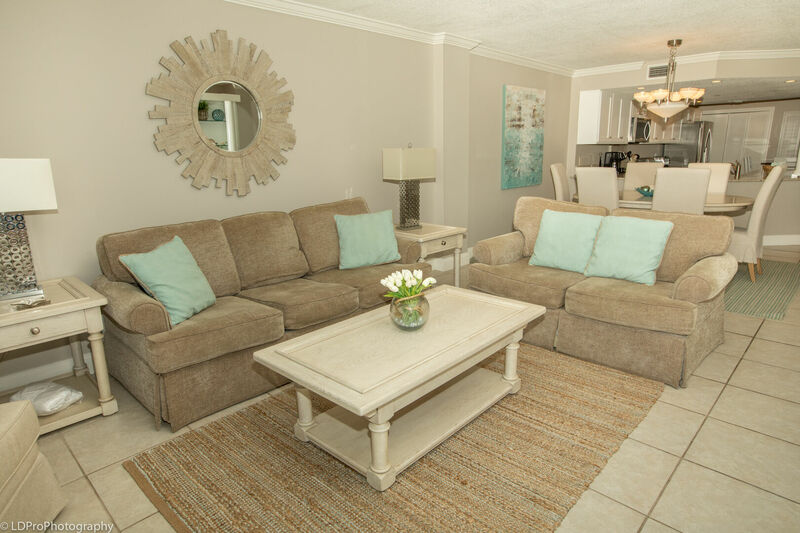 The living room offers two plush sofas to relax in while you enjoy the Gulf view or take advantage of the Blu Ray player and watch a movie on the 49" Flat Screen Smart TV. One living room sofa folds out to a Queen Size Sofa Sleeper. 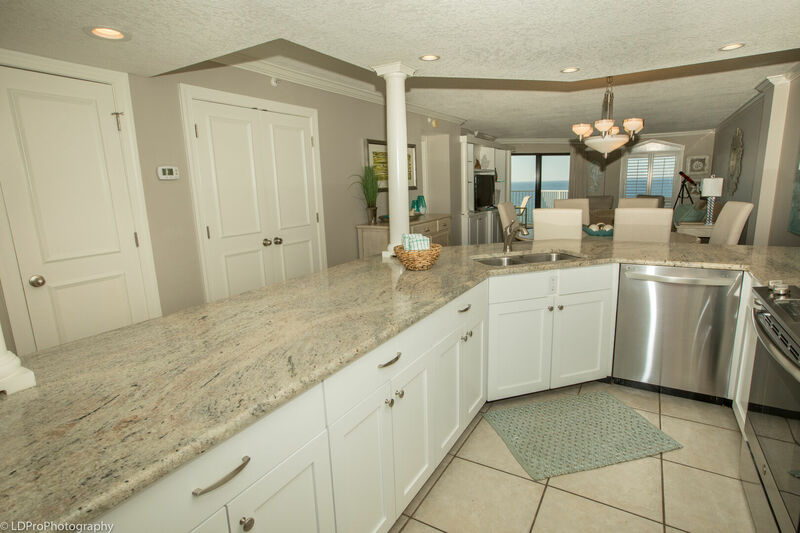 The spacious kitchen is the perfect place to whip up a quick bite or cook a meal for the whole family, thanks to the plethora of granite counter space. 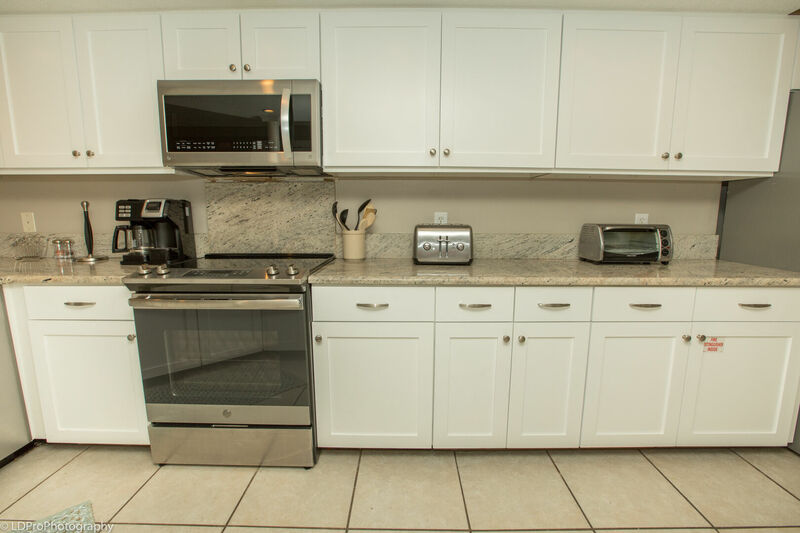 The kitchen also has new kitchen utensils, pots, pans, dishware, and full size stainless steel appliances. 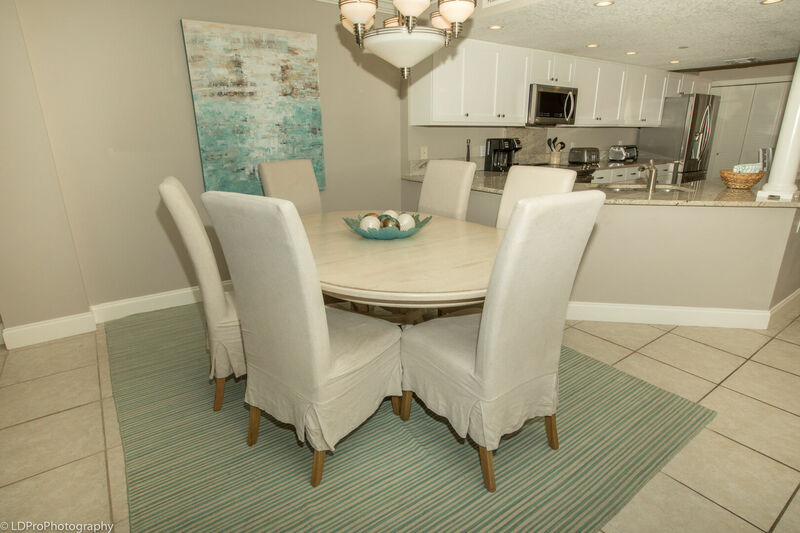 There are two areas to dine in this beautiful condo. 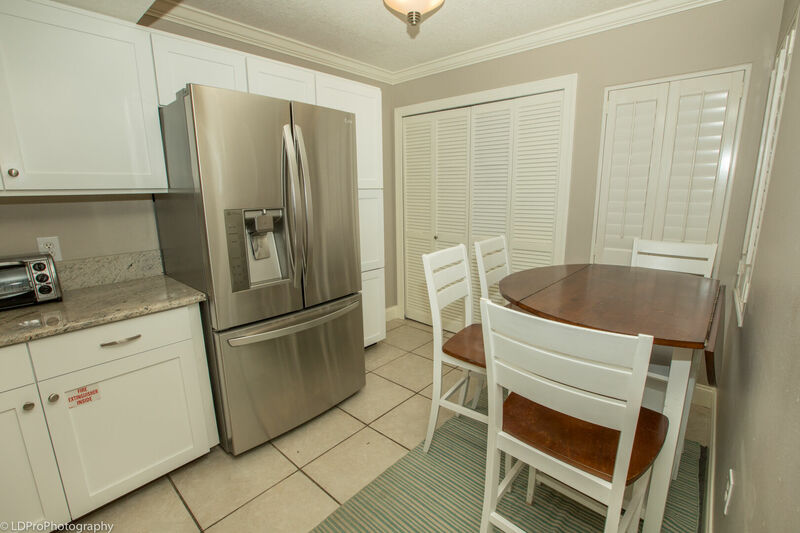 You can dine in the kitchen at the cafe table or the modern dining table that can accommodate 6. 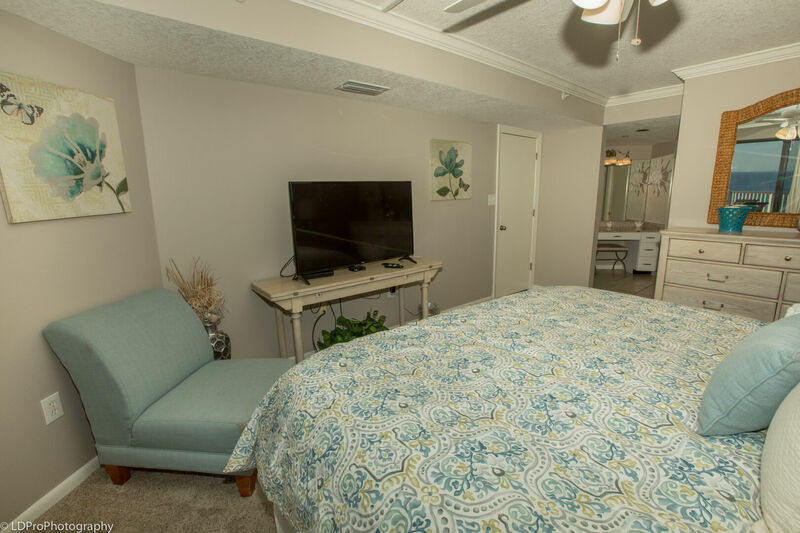 The guest bedroom is located near the front of the condo. 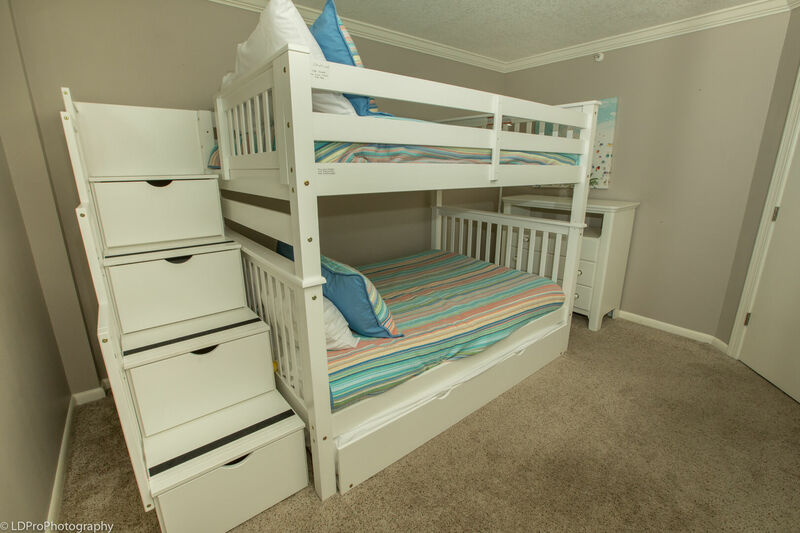 The guest bedroom offers Bunk beds with a Full on the bottom and Twin on the top. 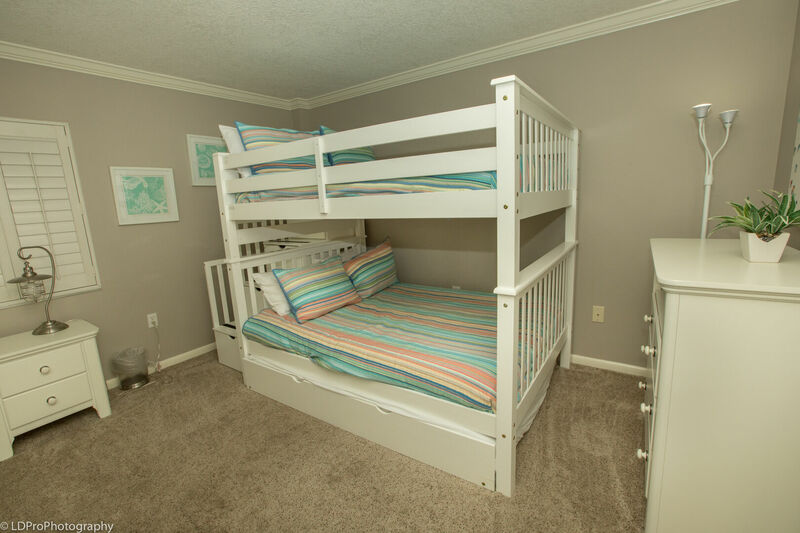 There is also a Twin trundle with the bunk bed, allowing this room to sleep 4 guests. 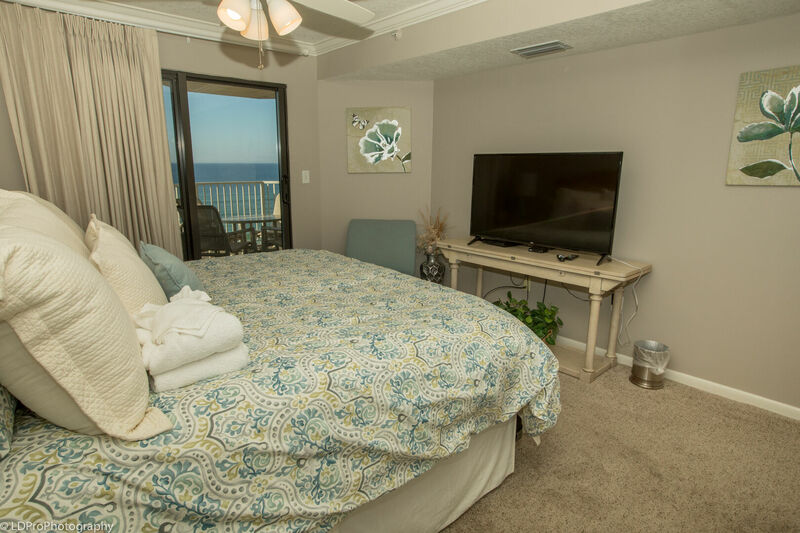 The Master Bedroom has a Sterns and Foster pillow top King size bed, a 49" Flat Screen Smart TV, and balcony access. 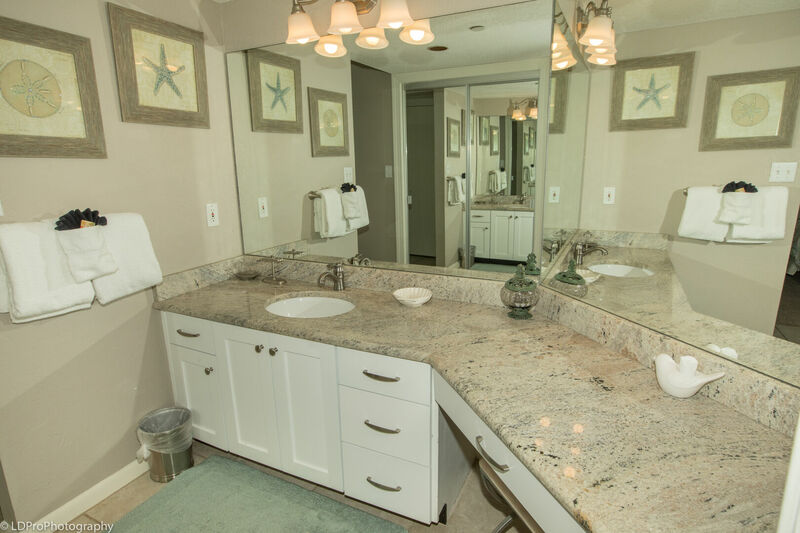 The adjoining bathroom has a stunning granite vanity with 2 sinks and a make-up area. 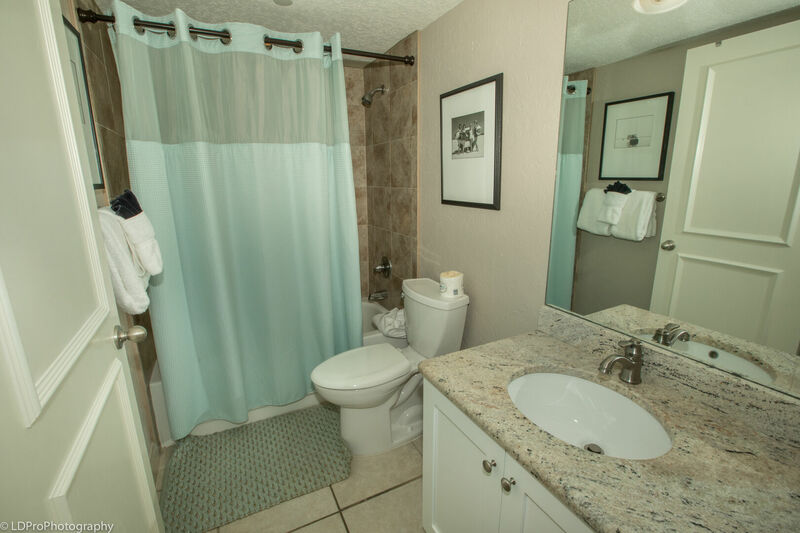 The bathroom has a large walk-in shower as well. 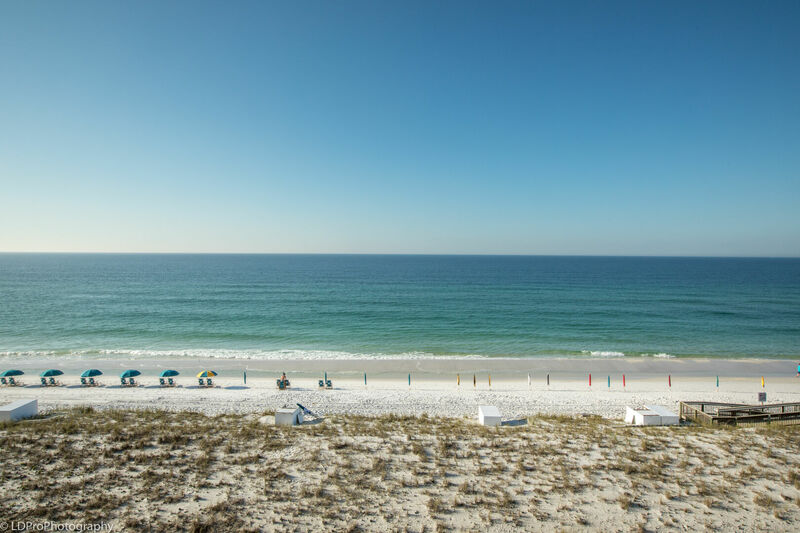 As beautiful as the condo, the owner has made sure to not forget about the best part of Destin, the stunning Gulf Waters. The large balcony is accessible from the living room & Master Bedroom. 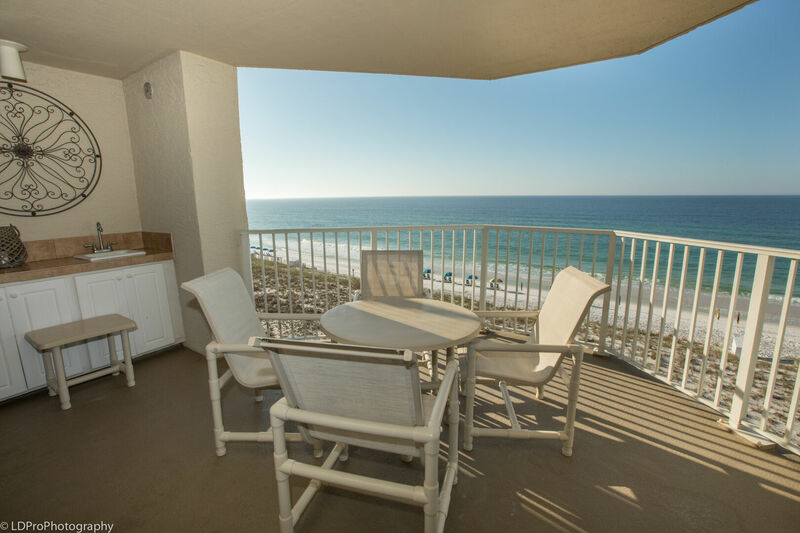 Hexagonal in shape, the balcony comes with a wet bar, and outside table and a 180 degree view of the emerald green gulf. 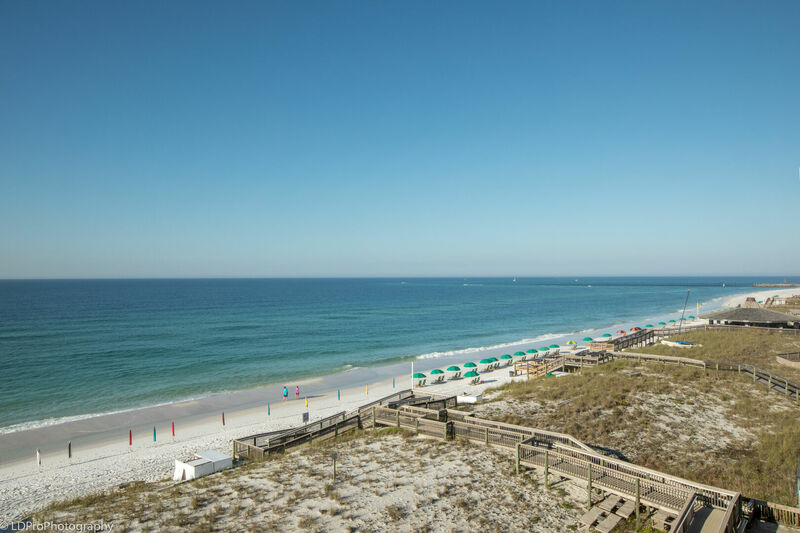 Amenities include a full-size washer and dryer, complimentary wireless internet and free beach service during the season! Beautifully appointed and faultless inside and out, it books quickly! Pool is heated from October to April to 85 degrees. What a peaceful and well-appointed unit! We enjoyed a long weekend of serene, casual luxury. 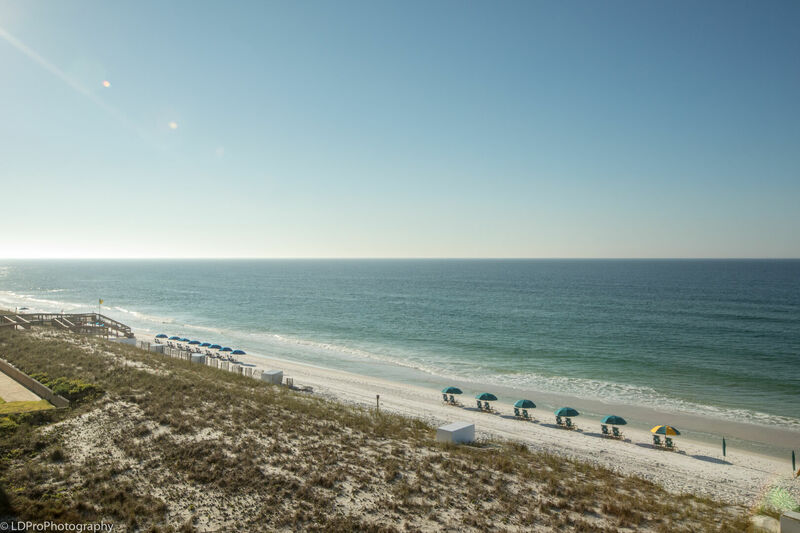 Thank you for sharing this gulf front retreat – the laughter, rest and fellowship were priceless. My husband and I come to Destin every October. We love the fishing Rodeo. 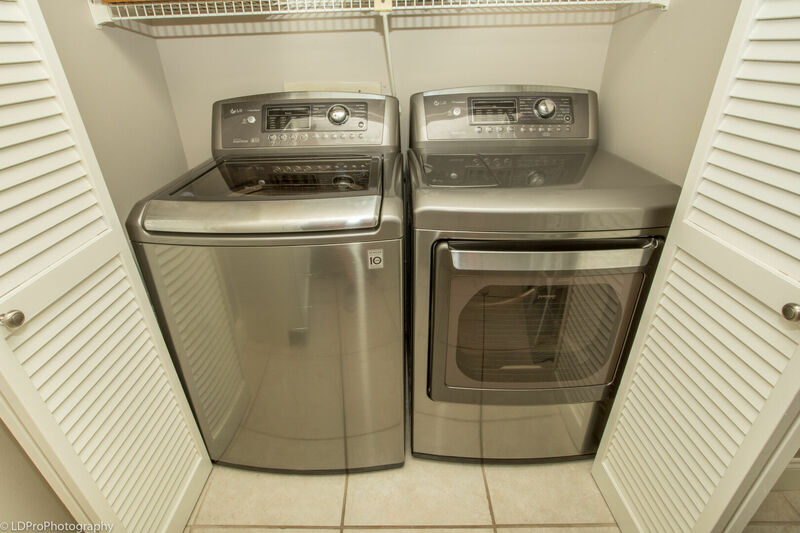 Your condo is our favorite! The view was wonderful. We spent many hours watching the surf and surfers. The dolphins made several appearances too. Our trip has been wonderful. Everything we needed for our stay was available. The décor in the unit is beautiful, the view is lovely and the serenity is most welcome. 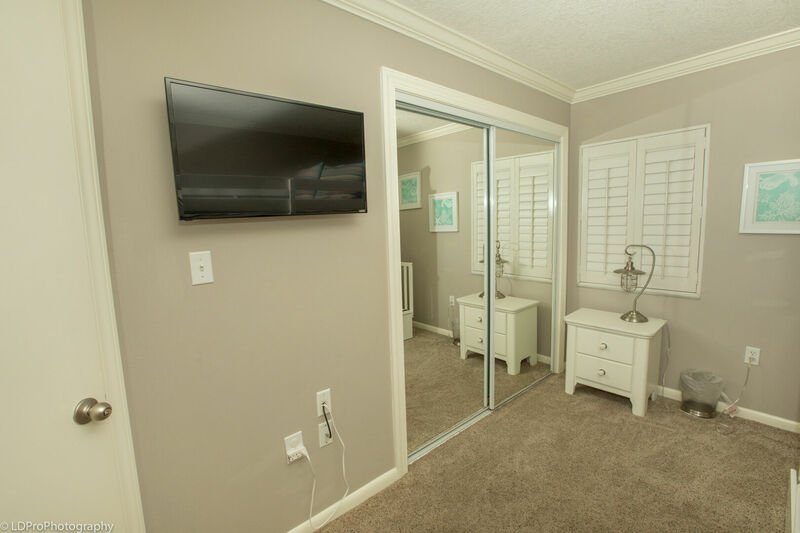 We loved the modern feel, clean with a splash of color. Thank you for sharing your home with us…it was our pleasure to visit.